Ambroise is a dynamic Dutch company, founded in 1994, that is a leader in the development of lightweight dynamic orthoses (braces). This includes braces and splints for people with paralysis of arms or legs. Our developers are constantly striving for a better understanding of how the human body works. With that knowledge we develop technology to better support functions of the body, where the body can no longer properly do that itself. Only when this technology really fits the body, a brace can provide added value for you as a client. 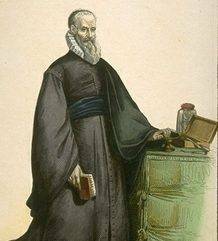 The name Ambroise comes from Ambroise Paré, a French doctor that lived in 16th century. He introduced innovative medical treatments. He did this by re-examining current practices. And not just accepting the status quo as a defnitive truth. An independent spirit, just like the people of Ambroise! Ambroise uses the 3C philosophy, formulated by Prof. J.C. Cool (1930-2012) (TU Delft, Twente University) for the design and engineering of its products. The three C’s stand for: Cosmesis – Comfort – Control. We consider it our mission to maximally integrate these three characteristics in the design of our products. That is best done by on the one hand understanding how the body works and on the other listening to the experience of our users. The cosmesis of an orthosis is more determined by how inconspicuous the use of that orthosis is for the environment of its user, than by the aesthetic appearance of the brace itself. This means that the orthosis should be minimally visible, but also, for example, that movements are not noticeably different with the orthosis. The products should both literally fit well to the body and figuratively: how the body functions as normal as possible. We strive to ensure minimal awareness of the environment to the disability, by bringing back natural movements and functions using minimal resources. The products should be comfortable to use and preferably so that the user may occasionally forget that he / she wears a brace. This not only means that the orthosis feels nice on the skin, but also that the interference of the brace with the user’s normal functions is limited. The user should have control over the product and not the other way around. What the user is able to do, the product has to allow rather than to restrict. See for example the video below where you see Stef, a baby with clubfeet, crawling on the floor. The orthosis applied in this case, a DYNKO from Ambroise, gives Stef freedom, but brings his feet back in the required position in rest. The conventional solution for Stef and all other children with clubfeet would be a Denis Browne splint, that rigidly secures both feet relative to each other! We believe you achieve more together than alone. The main partner in our collaborations is and remains the patient. Together we try to select the best combination of body and technology. In order to achieve that every time again, Ambroise also has a close cooperation with renowned universities, colleges and rehabilitation centers in the Netherlands. Via a dense network of cooperating orthopedic workshops in the Netherlands, an orthosis of Ambroise can be selected, measuerd and fitted to the patient. Ambroise also closely works with a number of foreign partners for the marketing and sales of its products abroad. Get an overview of our partners here and find a local distributor close to you.